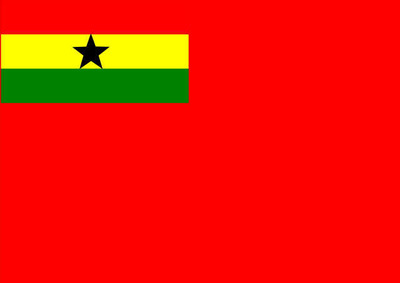 The flag of Ghana was designed to replace the colonial flag of British Gold Coast (United Kingdom) upon attainment of independence in 1957. It was flown until 1959, and then reinstated in 1966. 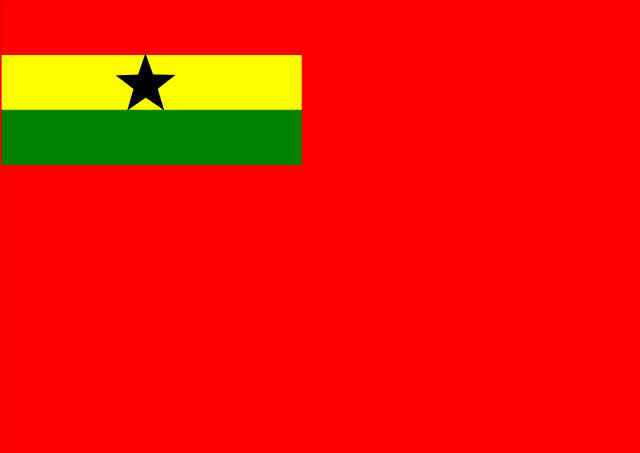 It consists of the Pan-African colours of Red, Yellow, and Green, in horizontal stripes, with a black five-pointed star in the centre of the gold stripe. 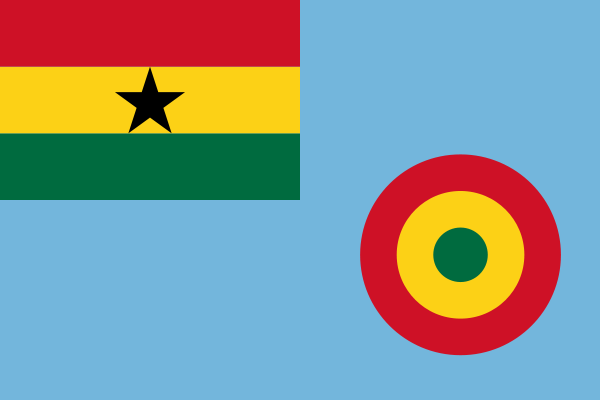 The Ghanaian flag was the first African flag after the flag of Ethiopia to feature these colours. 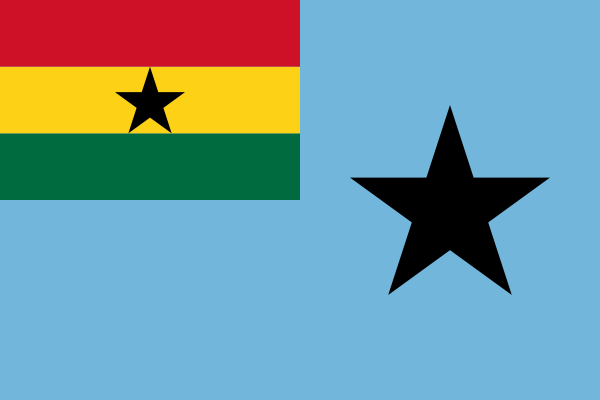 The black star was adopted from the flag of the Black Star Line, a shipping line incorporated by Marcus Garvey that operated from 1919 to 1922. The Black Star gives the Ghana national football team their nickname; The Black Stars. Consists of a shield divided into four quarters by a green St. George's cross rimmed with gold. In the top left-hand quarter is a crossed linguist staff and ceremonial sword on a blue background, representing local administration. Surmounting the shield is a black five pointed star rimmed with gold, representing the lodestar of African freedom, and this star stands on the wreath o the colours red, gold and green which again stand on the top of the shield. Under the shield will be found the motto FREEDOM AND JUSTICE. The supporters of the coat of arms are two eagles, coloured gold. Around each eagle's neck hangs a black star suspended from a ribbon of Ghana's colours. In the top right-hand quarter is an heraldic castle on an heraldic sea with a light blue background, representing national government. In the bottom two quarters are a cocoa tree and a mine shaft representing the wealth of the country. 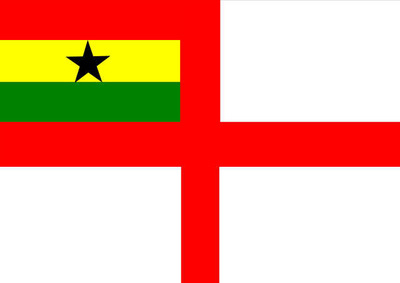 In the centre of the green St. George cross will be found a gold lion, representing the continued link between Ghana and the Common wealth.